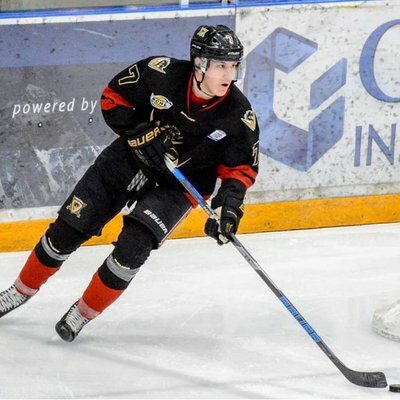 The Quinnipiac Bobcats tapped in once again to the BCHL for their newest commit, this time with 1999 born defenseman Wyatt Head verbally committing to the Bobcats. It is presumed this commitment will be for the 2019-2020 when the Bobcats will lose Chase Priskie, Luke Shiplo and Brandon Fortunato to graduation along with the fact they could also lose Karlis Cukste and Brogan Rafferty to a potential early departure for professional contracts. Head is a 6'1, 170 pound Kelowna, British Columbia native who is currently playing for West Kelowna in the BCHL. The left shot defenseman is off to a strong start in his second full season in the BCHL with 10 points (4 goals, 6 assists) in 11 games played. His 10 points lead all BCHL defenseman in scoring so far this season. In 58 games a season ago for West Kelowna he had 21 points (3 goals, 18 assists) in 58 games played plus another two assists in four playoff games. Prior to playing for West Kelowna, Head is a product of the Okanagan Rockets midget program in the BCMML. Congrats to Wyatt and welcome to Bobcat Nation. Don't forget we will also lose Luke Shiplo who will also be graduating this year. I know he can play both F/D but has played mostly D if I'm not mistaken.